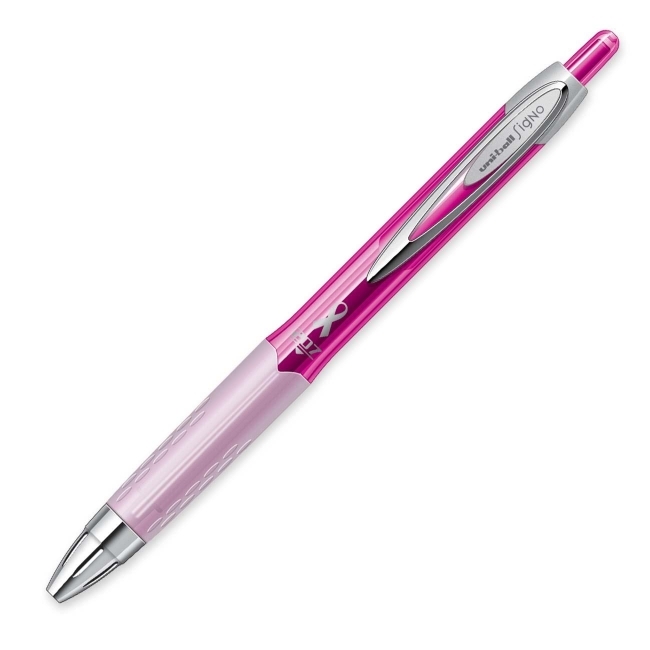 Uni-ball 207 Gel Pink Ribbon Pen promotes breast cancer awareness. Part of the proceeds from each purchase will go toward the nonprofit City of Hope for breast cancer research, treatment and education. Uni Super Ink is designed to prevent check and document fraud. Acid-free, archival-quality ink is fade-resistant and water-resistant. Design features a comfortable textured grip, semi-translucent barrel and sturdy metal clip.